these days i’m pretty fascinated by 2 artist albums from the berlin techno and house scene, and to spread the love a bit i will just very shortly introduce them to you. when dj’s release artist albums, they don’t just make a mix of their favorite songs, but produce the stuff themselves, often assisted by local artists with vocals and so on. 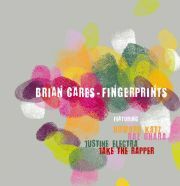 fingerprints by brian cares, released on the bar25 label is their first full artist label. the bar25 left a heavy fingerprint on this album: many artists from the place contribute their part to this release, in the form of vocals by jake the rapper for example. it’s an album that makes you want to listen to it again directly when you are through, to find more details and catch more text parts. the other album that i want to mention here is also a first artist release on another label, ostgut ton, the label behind the berghain club. it’s not as new as the brian cares release, but there may be readers unaware of it. 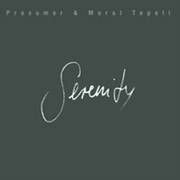 i’m talking about the prosumer and murat tepeli release “serenity“. there is a cd release and a vinyl version with different versions for the club. with prosumer and murat tepeli, it’s significantly a dj’s release, because it keeps you at listening like a dj set. especially the last song just didn’t let me switch off: it’s such a nice outro, so i let it play and waited with something else that i wanted to give a short prelisten on the web… also with brian cares it’s the last song that dragged my attention to this release. it’s this a bit clumsy beat that sounds aggressive first but then nicely blends with the song, the instrumentation and vocals. ← video of the week: Josh wink Are you there?